The following is the third part of the report on my ad campaign associated with the Montclair Film Festival. That campaign was described in Part Two. How will I measure the success of my campaign? To use the marketing word du jour, what are the metrics? I can think of two in general: website traffic increase and book sales increase. I used the built-in CysStats from my WordPress software to measure website visits and hits. For the week previous to the release of the Film Festival catalog, I was averaging about 700 visits and 800 hits per day. After the release to volunteer personnel, the number of hits went up to 1600 but the number of visits stayed about the same. I returned to the “steady state” until a week later, the first weekend the general public had the catalog, when I obtained about 1800 visits and 1900 hits (April 12), but the next day it settled back to 800/900, almost the initial steady state—this 800/900 level became a new steady state with peaks on weekends, until the release of the Montclair Times Magazine. The Montclair Times Magazine ad was released to the public on May 2. This had a wider distribution than the Festival catalog. There was only a slight bump on that day. There have been other slight bumps, which I attribute to the sporadic reading of the Montclair Times Magazine (it goes to subscribers in the Montclair area, but these include doctors, dentists, and lawyers’ offices). As of May 15, I’ve achieved a new steady state around 900 visits and 1000 hits. For me, this increase is hardly significant, but I’m hoping the magazine ad has a long tail. Did this increase in website traffic translate into book sales? From the catalog ad, no. Both Amazon and Smashwords showed pathetic performance up to the Montclair Times Magazine ad—just the same old dribs and drabs. There was only a slight uptick after the magazine ad. Perhaps the difference was that the magazine ad had the cover of The Golden Years of Virginia Morgan; the catalog ad did not. Both referred readers to my website that lists all eleven of my books available at that time (I have since released Teeter-Totter between Lust and Murder). I’m writing this report now (May 15) rather than waiting to measure any long-tail effect because these statistics are metrics for an open system. The release of a new book and some new reviews will start making it difficult to separate cause and effect. For now, I think it’s being wise to say that this campaign didn’t work. I’m more convinced than ever that rising above that sea of ebooks, even those in the same genre, is quite difficult because of the competition. The chances of success, say sales of 10,000 for one book, is perhaps more likely than winning the Power Ball Lottery, but not by much. Am I discouraged? Yes. Will I throw in the towel and stop writing? No! It’s too much fun. I hope my writing also provides entertainment value for those who read my blog or my ebooks. That’s always been my goal—to entertain. 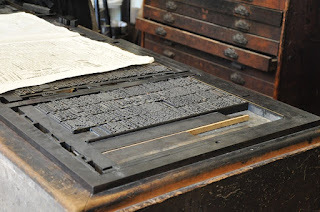 In libris libertas…. Author of The Secret Lab, Pop Two Antacids and Have Some Java, The Midas Bomb, Angels Need Not Apply, Teeter-Totter between Lust and Murder, The Golden Years of Virginia Morgan, Full Medical, Evil Agenda, Soldiers of God, Survivors of the Chaos, Sing a Samba Galactica, Come Dance a Cumbia...with Stars in Your Hand! P.S. 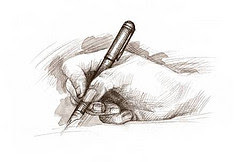 If you haven't yet, please sign up for our newsletter, The Writing World. To find out why visit: http://thewritingworld.com or fill in the opt-in on top of the sidebar right here! Leonard Marcus's presentation on Maurice Sendak (1928-2012) concludes in Part Five of this series from my notes taken at the Highlights Foundation workshop, "Books that Rise Above," that I attended in Honesdale, PA last October. Today, the focus is on Leonard's explanation of how Sendak wrote Where the Wild Things Are. Sendak's innovations in Wild Things can be summed up in two words: No rules. His illustrations get bigger and bigger until they push the words off the page, before shrinking back. Max does not appear on the cover. The title page gives the story away: that Max is in charge, not the monsters-- he kicks them away. As Leonard explained, we are tipped off that the scary things are Max's creations, that maybe Max is the scary one. Indeed, Max is dressed in an original costume that makes him look different than an ordinary boy. Thus, his playful animal-like appearance may be safer for children when dealing with their own monsters and demons than a normal boy's appearance would. The monsters themselves are presented in a way we can handle; perhaps helping children make their own monsters and demons less scary. To find his story, Sendak wrote a different version every day for a month. Little by little the story evolved. But, he got stuck in the middle. He had to ask himself: why would a child like Max choose to go back home when being sent to bed without supper? Sendak knew every child is hungry for the love of his mother; that it is a deep-seated need. Max struggles with his desire for freedom, but finds he can't do without the ordered (and warm and loving) structure of HOME, represented as a hot meal. So, as Leonard so eloquently stated, the most brilliant ending (the last line) in all of children's literature is that supper awaited Max when he got home (he woke up), "and it was still hot." Thus in the end, children can confront the Wild Things and feel good about them. Leonard's take-away: Everything today rests on the effort Sendak made in children's literature. He used his opportunity to speak out for children, to support children's First Amendment rights. My take-away: Learning about the time and care Sendak spent in his creations has helped me revisit time and again my own current creation. Also, how my own expereiences can better serve children, of course, in an entertaining and fun way. In a nutshell, to stamp out any triteness in my own work. In future posts: A link to the complete list of "Books that Rise Above" will appear at the end of this series. Then look out, more to come! Sources: Google searches to complete references to Sendak's influences from children's literature. 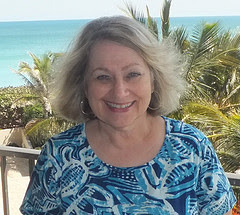 Linda Wilson, a former elementary teacher and ICL graduate, has published over 40 articles for children and adults, six short stories for children, and is in the final editing stages of her first book, a mystery story for 7-9 year olds. 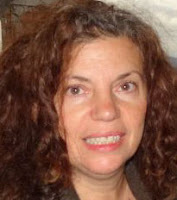 Publishing credits include seven biosketches for the library journal, Biography Today, which include Troy Aikman, Stephen King, and William Shatner; Pockets; Hopscotch; and true stories told to her by police officers about children in distress receiving teddy bears, which she fictionalized for her column, "Teddy Bear Corner," for the Montgomery County Sheriff's Office Crime Prevention Newsletter, Dayton, Ohio. Follow Linda on Facebook. The sophistication of our technological world has caught me between a rock and a hard place. Experienced writers have learned this less well, but less experienced writers are still learning it or have it yet to learn. Even for experienced writers it is good to review it every so often. What am I talking about? 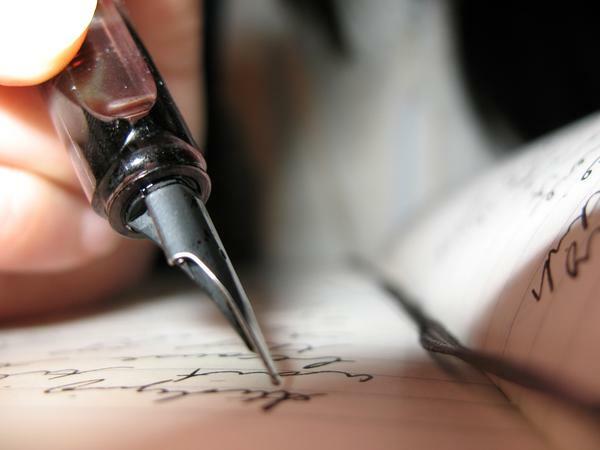 The “show, don’t tell” rule of writing. It sounds so simple, and yet it is one of the hardest to learn for some of us. Telling is what you see with narratives, and it is okay in the proper prospective. But you do not want to fill your book with telling your story. Your readers like action, dialog, descriptions, emotions, all the things that your readers can take and create a picture in their minds. Show your story. Give it characters your reader can fall in love with and want more of them. Give them a setting or location that their mind can grab hold of and feel they are right there with the characters. Make the characters speak to them and create action that keeps the story moving. Give descriptions of the setting and characters through narrative and some through dialog, but do not insult your readers by giving them every little detail. Readers like to be a bit creative themselves so give just enough to stimulate their own imaginations, and let them run with it. When you have fast-paced scenes, it is good to slow things down and give your reader a chance to breathe. Your story should run in waves of fast pace and slow pace. That is where the narrative comes in. You can use it to slow down the pace of the story. Someone once told me to read through my story; and if there are areas where I am telling, ask myself if there is a way I can show it rather than tell it. If there are, then I need to change it. Narratives do serve a purpose, so remember not to change all of them. Also remember, it is the author’s responsibility to create a world in which his/her readers can get lost and want more of it. Following are some points to remember when self-editing your work: 1) How often do you use narrative summary? 2) Which sections do you want to convert into scenes (action)? 3) Do you have any narrative summary? (You do need some.) 4) Are you describing your characters’ feelings or are you showing them? If not, you might want to buy one. 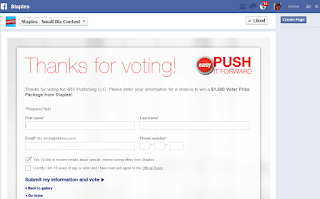 Or win an eReader, like I did! Last year, I won a Kindle Fire. I love it! I’m still learning about all the things it can do, but mostly, I use it to read books. I have many books on my eReader, and have read some of them. They are about various subjects such as writing, business, health, home improvement, and money. I also have some novels and children’s books. I have apps on my Kindle. Newspapers, travel, organizational, and shopping apps are mostly what are useful to me. I also purchased an app that helps me to categorize my books. I find that is the easiest way to locate what I am looking for. And the layout is attractive and organized. An eReader can be used to access the internet, making it convenient for on the go. You can check your email and read social media sites. If you don’t want or need to carry around a laptop, an eReader may be what you need. You can buy digital books on all kinds of subjects. If you have a Kindle, you can get books from Amazon. If you have a Nook, you can get them from Barnes and Noble. There are a number of websites where you can download free eBooks too. You can also borrow them from your library. Some also offer classes on how to borrow books with your eReader. Be sure to check out what your local library has to offer. You might be surprised. Besides the Kindle and the Nook, there are other eReaders such as the Kobo and the Sony Reader. I recommend researching eReaders to learn which one is best for you. I still buy, read and borrow regular books. I think I always will. However, I have found the Kindle to be very convenient, easy, and fun to use. I plan to write about technology in future blog posts, as I learn more about my eReader and contemplate purchasing additional gadgets. Do you have an eReader? How do you use it or would like to use it? If you don’t have an eReader, do you plan to buy one? I’m an author and editor with 4RV Publishing and I know the quality and care that goes into the books it publishes. 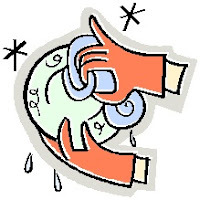 Being a small publishing house, 4RV incurs all the expenses of publishing books and like all publishers is feeling the financial squeeze. 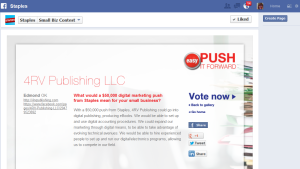 So, please vote for 4RV in the Staples’ PUSH It Forward Contest. CLICK HERE TO VOTE EVERY DAY through May 31st. 1. 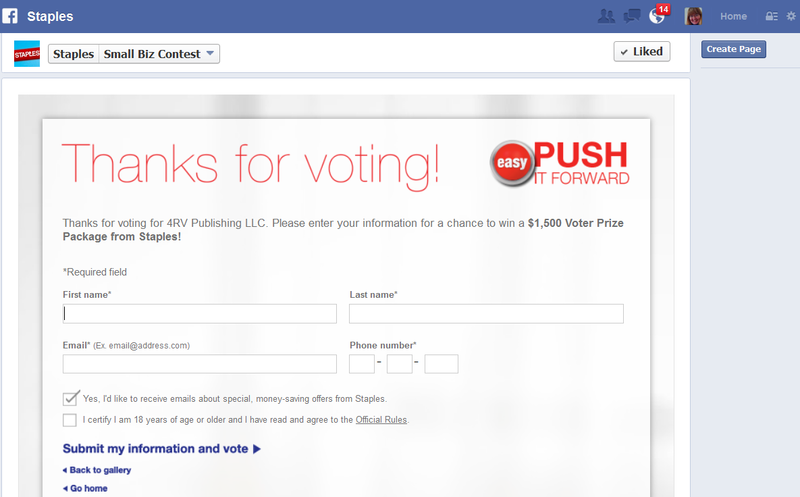 Go to http://tinyurl.com/a7hrdmv – this is Staples’ Facebook page already set up for you to vote for 4RV Publishing. 3. Last, but not least, when you vote, you’ll have a chance to enter to win $1500 for yourself – how cool is that? 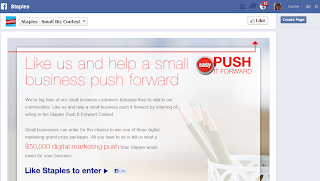 Just for helping a small business achieve more. We could all use this kind of “push,” right? A big thank you to Holly for allowing me to share these step-by-step instructions! My husband loves to wash dishes. It’s not one of my favorite chores. I like scrubbing sinks. He doesn't seem to notice the scum at the bottom of the sink. We have found a comfortable division of household labor. Generally we’re both responsible for chores we enjoy, or at least we’re able to avoid the ones we hate. Writers aren't always that lucky. There are many aspects of a writer’s life, and most writers spend a majority of their time in the role that is in their comfort zone. Here are just some of the pieces of the process. I recently heard Linda Sue Park, Newberry Award winning author of A Single Shard, talk about the role of Writer vs. Author. She felt marketing, speaking engagements and other promotional activities required her author’s hat, and the actual writing called for her writer’s hat. She seems to have balanced both roles well. I like the early stages of working on a manuscript. That’s my sweet spot. My critique group keeps me moving through the revision process. I realized I needed to push myself to submit my work. The realization alone was not going to make it happen for me, so I have allotted 2 to 3 hours a month for that piece of the writing process. Where’s your sweet spot and where do you need to push yourself? Once you know where you need an extra push, schedule it into your writing life. Amazing things happen when we move out of our comfort zone! The Montclair Film Festival is in its second year. For 2013 (from April 29 to May 5, to be precise), it’s expanded, with more venues, films, speakers, and discussion sections. We attended last year. Because I’m an incurable people watcher (even though I’m introverted and don’t enjoy being in large crowds), I observed that there is a large overlap between films and book lovers. Thought-provoking films make people think while they enjoy the film—these are the films shown at the Montclair Film Festival. A thought-provoking book does the same thing. “Thought-provoking” is a sloppy term. I can easily enter a vicious circle—a thought-provoking book is one that makes you think beyond its plot and characters to more substantive issues. Even a vampire romance can make you think of issues you might not consider outside of your reading. My sci-fi thrillers will make you think too—they’re entertaining extrapolations into the future. What I observed at last year’s crowd at the Festival was that thought-provoking films and books have a common audience—people were talking about films and books. This year I’m waging a two-stage PR and marketing campaign at the Montclair Film Festival. It sounds like I’m playing Eisenhower planning D-Day, but it wasn’t time- or money-intensive. The Montclair Film Festival has a catalogue so people can figure out what events and movies to attend. I have a small ad in the advertising section. The local newspaper, The Montclair Times, also publishes monthly the Montclair Magazine. April’s issue will feature the Film Festival and has an advertising section where I’ve placed a bigger ad. I believe I’m targeting a specific audience with my few marketing funds and time (because I’d rather spend it writing) in a more efficient manner. I’m reaching local people that don’t know about my books and might enjoy them if they did. How do I know this is true? Four of my PODs that I donated to the Montclair Public Library became so worn I had to replace them. Many of my “near future” thrillers take place in the tri-state area (The Golden Years of Virginia Morgan, just released, is set almost exclusively in New Jersey). Locals will definitely identify with the venues in the books. Unfortunately, I’m at a stage in my writing career that deciding which books to promote is a problem—I have ten sci-fi thrillers and an anthology. In Montclair Magazine’s ad I focused on Virginia Morgan, my new release, but in both ads I highlighted my website URL—visiting the site allows them to peruse the entire list with their blurbs and buttons to peek inside the books at Amazon. The locals are very computer literate and shop online. Moreover, many editors and free-lancers live in Montclair because of its proximity to NYC news media outlets and publishing companies. Who knows whether this will be a successful campaign? 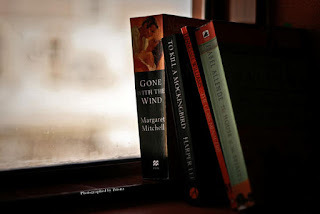 It’s an experiment and reflects my perhaps modest opinion that there are readers out there who will enjoy what I write if they could only discover it and know a wee bit more about my background. I discover new websites all the time. Internet sites don’t arrive and slap you in the face (and we tend to avoid those that do). 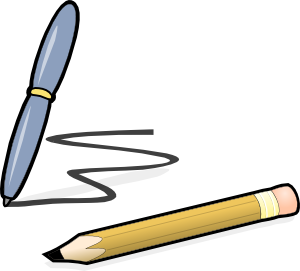 Maintaining a website is a necessary condition, not a sufficient one, for writing success. Somehow, you have to drive people to it so you can see what you offer. This is true for all internet marketing, of course, but especially true for writers. Stay tuned for Part Three in this book marketing series: the results of the Montclair Film Festival. It'll be here May 30th. P.S. If you haven't already, please sign-up for The Writing World newsletter - want to know why you should? CLICK HERE! 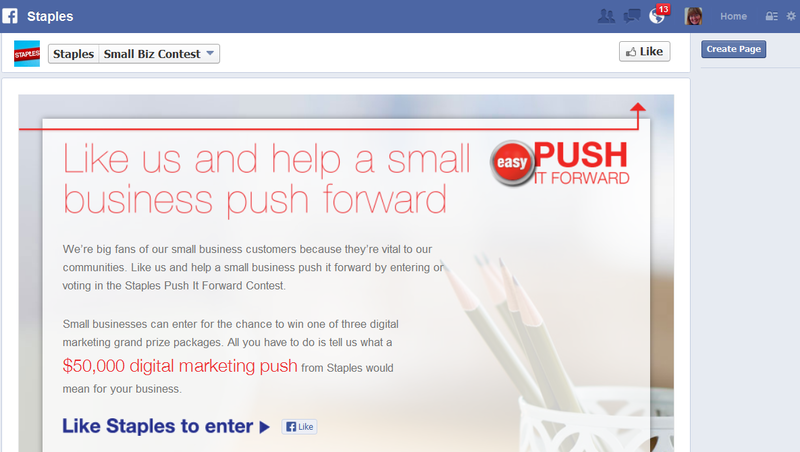 Or, you can just use the opt-in above (top right sidebar). penguin-like animal? 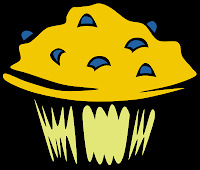 Or maybe a “Big Mac” sized muffin? The term appears to have originated in 20th-century filmmaking, and was popularized by Alfred Hitchcock in the 1930s. He described a Maguffin as that object of desire everyone in the story wants, but whose only purpose is to bring the protagonists and antagonists together. Maguffin (or MacGuffin) is a plot device, something in the plot that someone (or everyone) is after, making it a focal point of the story. It may be a secret that motivates the villains. A common Maguffin story setup can be summarized as "Quick! We must find X before they do!" The most common type of Maguffin is an object, place or person. However, a MacGuffin can sometimes take a more abstract form, such as money, victory, glory, survival, power, love, or even something that is entirely unexplained, as long as it strongly motivates key characters within the structure of the plot. The Maguffin technique is common in films, especially thrillers. The Maltese Falcon is such a device, as is the stone in Romancing the Stone, The Ark of the Covenant in Raiders of the Lost Ark, and the One Ring in Tolkien's trilogy. • The crystal egg in Risky Business. It has little or nothing to do with the story, but it is always prominent in Tom Cruise's character's mind because any damage to the egg will tip off his parents as to his antics and adventures while they are out of town, so he gets into a lot of other trouble trying to keep the egg safe and in his possession. • The "Unknown" grave filled with gold in The Good, The Bad, and The Ugly. Most Maguffins are moveable objects (ala the Maltese Falcon), but there are plenty of breathing and unmovable Maguffins as well (gold mines, people and the like). • R2-D2 in Star Wars is the main driving force of the movie, the object of everyone’s search. • The meaning of “Rosebud” in Citizen Kane. Today we will discuss something related to getting to know your protag and that is learning from them about their background, backstory. We all have one. If you’re alive and have lived at all, even for a minute or two, you have a backstory. So how do you learn about your protagonist’s? You ask him/her through an interview. Devise a series of questions you might ask anyone you know (real person) or want to know about. Then verbally ask those questions to an empty chair. Although that chair won’t really be empty, because your protag will be sitting there, answering or refusing to answer, your questions. If they refuse, find a way around the question to seek the same answer. Since you completed a character worksheet last month, you already know the basic stats about your character: hair color, style, length, eye color, etc. What you seek now is more in-depth about their childhood, their parents, siblings, schooling, tauntings or bullyings, special events from their past which helped make them who they are. Don’t forget to ask WHY or HOW. Ask about any unresolved issues from their past and how they might complicate matters now. What are some catalysts that marked their life? How did they respond/change? What do people like/dislike about you? What do YOU like/dislike about yourself? What are your beliefs? Secrets? 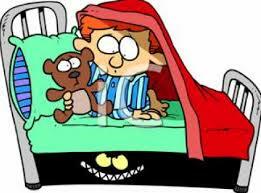 What are your personal demons? Why? What have you done about them? Are you optimistic or pessimistic? Why? How does this affect your life? What is your level of morality? What would you change about yourself if you could? What’s stopping you? What would you do if something bad happened to them? Who were your friends growing up? Now? Who were your enemies then? Now? Learn all there is to know about their parents/guardians. I discovered an entirely new side to my story while discussing Rayna’s parents with her. Suddenly the woman who turned her over to the Peacers had a motive and the bully in the Gestortium’s motive matched giving me bookends. Readers LOVE bookends in stories. I’ll talk more about them at a later date. But by learning about Rayna’s mother’s backstory, I discovered she also had a bully growing up (the one who turned in Rayna) and the two bullies’s motivations are the same: now and then for Rayna and her Mum. Without learning about her Mum, I would never have seen that parallel. Ask about siblings, dead or alive. You’d be surprised how many protags have experienced deaths they don’t like to discuss, but which had an impact on them. Ask about cousins, aunts & uncles, grandparents, neighbors, playmates (again-this became instrumental in my later bully motivation), etc. Don’t forget to think about all of the characters revolving around your protag. You DO NOT need such in-depth interviews for all of them, but any who play a major role in the story need to be interviewed—if only to get to know them better and not use any of their background in the actual story. Most everyone knows about Help a Reporter Out, also called HARO. The trouble is, many don’t know how to make it work very well for them. Some consider it a bit of a problem that these HARO notices come to them several times a day. I did. I signed up and eventually thought I didn’t have time to fool with the extensive lists. I was discouraged because I didn’t get the immediate results I thought I should. So I unsubscribed. But here’s the thing. I wasn’t getting results I wanted because I wasn’t using it right and—of course—because I wasn’t willing to be persistent. Then I tried it again. I changed my tactics. I didn’t frame myself as an author, but as an expert. Once I learned how to approach the people I contacted, I got better, more frequent results. I had to learn the hard way. You don’t. 2. Try to look at every e-mail HARO sends out and quickly pick out the calls that might directly apply to you or the ones you can skew toward you. Example: I answered one that wanted people who had suffered some kind of stroke so I shared my little story about a TIA I had while I was in Tibet. I was there for inspiration for a novel and my poetry. I was careful to include that reference to my creative work (along with links to some buy pages) in the answer I sent. But I was also careful not to make that the major thrust of my query. 3. At first I thought these were all real reporters who would actually call me for an interview or at least to check facts. The world is a different place since I was a reporter. Writers are in a bigger hurry. That means you need to be complete with your answer. Use anecdotes. Use soundbites. This is great training, by the way, for learning what intrigues media people and what doesn’t. Give them contact information and permission to call you if they wish. Note: Though I have received lots of publicity using HARO, not once has someone called me. 4. Always include a little bio. You can copy and paste it but it should include the kind of information about your background that applies to the kind of question your contact wanted answered. Include links to your Web site, blog, or online bookstores buy page. Sometimes the writers use that bio exactly as you gave it to them.At the risk of being redundant, media folks are busy. If your note to them requires tons of work to corral details you didn’t include, they’ll just use someone else who did a better job of giving them what they need. 7. When you learn that your answer has been used, go online and comment and send a thank you to the writer. If you don’t know how you could possibly know if your helpful piece gets used, you need to refer again to your Frugal Book Promoter (http://budurl.com/FrugalBkProm) and find “alerts” in the index. Note: Sometimes the blogger or reporter (the smartest ones!) 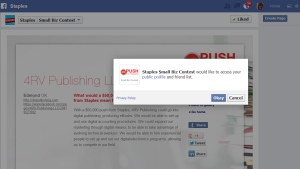 will let you know you were mentioned and even give you a permalink to use in your own marketing. 8. If you get featured on a relatively big site, add the coup to your media kit, your Web site, and maybe even blog about it. ~To reprint this article in your own blog, Web site, or elsewhere, send me a quickie query at HoJoNews(at) AOL (dot) com. I almost never say no! (-: In other words, I’m happy to Help a Reporter Out!